Trigger Warning: Suicide, LGBT discrimination. 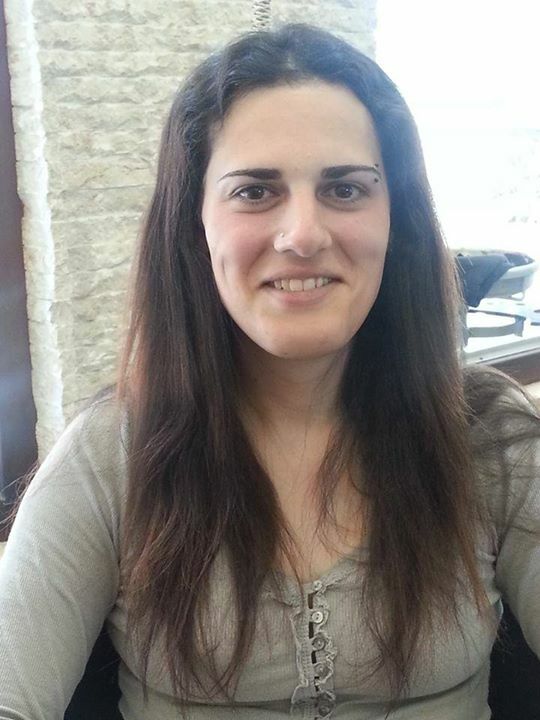 “May Peleg Friedman, the Jerusalem Open House’s first transgender Chairperson, put an end to her life this week at the age of 31. Born into a world of religious tradition and gender conformity, May tried to live as dutiful son, husband and father, while knowing, since age 4 that her soul belonged in another type of body. News of her death came simultaneously with that of the massacres in Paris. I cannot help but wonder if there is a common root to both of these horrific acts, namely, a form of religious dogma that causes us to see the world in strictly binary terms and gives rise to violent hatred of those who fall outside of what we deem to be “holy”. The violence permitted against the ‘unholy’ is in one case turned outward, and in the other inward, but essentially they are the same. I was taught that the purpose of religion was to increase our connection to creation, to community, mercy and justice, but so often I see that the opposite is true. If there is a God, Zhe is surely weeping…"
When I read this, I started to cry, really hard. In addition to mourning the lose of a beautiful woman, there is so much more to it. I have to admit, as much as I understand her struggle regarding identity and being rejected by family and community in the name of religion and an "all good all powerful" God, I do not understand the struggle with suicide. Thankfully, I never had to struggle with that. Not because I was not in situations of despair, it just never appealed to me as a solution. However, I know that we, #Girlslikeus, people of Trans experience, have the highest rate of suicide when faced with rejection. In addition to being the minority that is most discriminated against in the Western World. This week is Trans Day of Remembrance (Nov. 20th). In the last 5 days since coming out in public I was remembered again and again, that we are still so invisible and misunderstood, especially in the (Ultra)Orthodox Jewish world. I am really trying to do whatever I can to raise awareness, simply about our existence. Right now, I cannot even focus on acceptance in that world. 17 people reached out thus far saying that they struggle - most of them it utter silence - with gender identity, and most of them see no way out. Right now, we have to make sure that every person of trans experience knows: They are others like you, and there is a whole world out there who wants to except you for who you are. Originally, I wrote this just as a Facebook post, it is not that long. However, I decided to write it as a full blog post so it can be shared easier. I never did that before (and without that, this blog was shared more than 1.1k times just on Facebook, and I am grateful for that) but now I feel that I have to do it. I am appealing to each and every person who cares about us, who cares about our existence, PLEASE SHARE TO SPREAD THE WORD. Please make sure that everyone who struggles, in the Ultra-Orthodox world and beyond -you can never know who it is- knows that they are not alone. It is a matter of life and dead, literally. It is hard to know what else we can do to help. It is amazing to know that once people can leave they are so many wonderful Jewish and universal entities that can help, such as Keshet, Eshel, JQY, Nehirim, and more, but up to that point it is way harder. I cannot see the Ultra-Orthodox Communities accepting us in the foresee-able future as much as I hope for that, and leaving is a whole transition for itself. Therefore, for now, we ought to try our best to get visibility. Also as a first step we started a Facebook support group for people of trans experience of an Ultra-Orthodox background. If you know anyone in that position, send them our way. Just an endnote: I love open discussion, but for this post, due to the fragile nature of the topic, I WILL DELETE every hateful comment. If you, or anyone you know is in danger, please reach out to National SuicidePrevention Lifeline at 1-800-273-8255. I am so grateful to you for helping so many people without a voice. It is painfully hard to try to educate people that are so unaware about the reality of this issue. But it's okay when dealing with congruent people, just honestly struggling to make sense of something they are unaware of. But when coming across those that are ignorant and ''happily'' ignorant that hear about this reality and try in every way possible to disprove the existence of gender variance, to start with. They are petrified really and almost always trying to convince people that gender is fixed from birth and written in stone. When all the evidence proves otherwise. For starters human beings are so not fixed into two gender boxes. So many people have traits of both genders. Human beings are not assigned a nature. Nothing in nature is written in stone. And so people unaware of this variable, especially if its coming from a religious perspective, a version of a religion so obsessed with gender binaries, all they could to disprove and discount the evidence. They will tell trans women that they can't mensturate, that they can't conceive. And so this they use as a phenomena to disprove their womanhood. Not baring in mind that there are women that were born anatomically female, that can't mensturate and conceive. Then there are those comparing transgender people to people claiming to be a chicken. Nice try, but chickens aren't in any way shape or form part of the human DNA. And then there are those that start throwing insults. Okay that's a clear proof of where a person is standing, they feel threatened by their own gender. A form of insecurity, wow! I could go on forever disproving and respectfully discounting the proof from the ignorant masses. But the truth is that it's pointless. Because truthfully speaking when they argue against this reality, so often they are expressing their own misery. This really seems like a huge threat to their identity. You are a wonderful inspiration. Thank you for being so bold and brave.